This week the Nature’s Team were back in a very hidden away site in Brockley. The last time were here we had to move 4 tonnes of soil around a narrow path way and down some steps to fill in some raised beds for food growing. 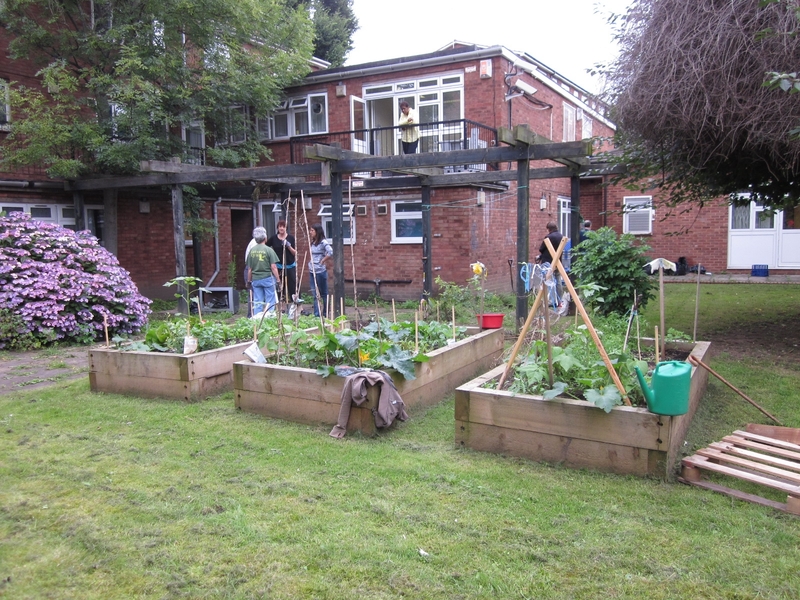 Coming back to the site almost a year to the day later, it is great to see that those beds are flourishing! The raised beds are doing well! 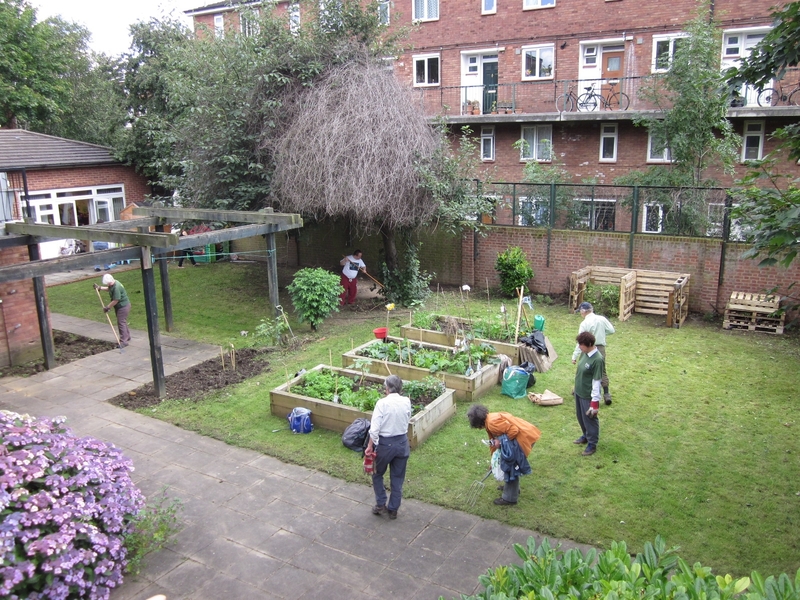 This time we were clearing and weeding to get ready for more planting and building of raised beds. The site is a real sun trap so hopefully all the new plants will do as well as the ones above. 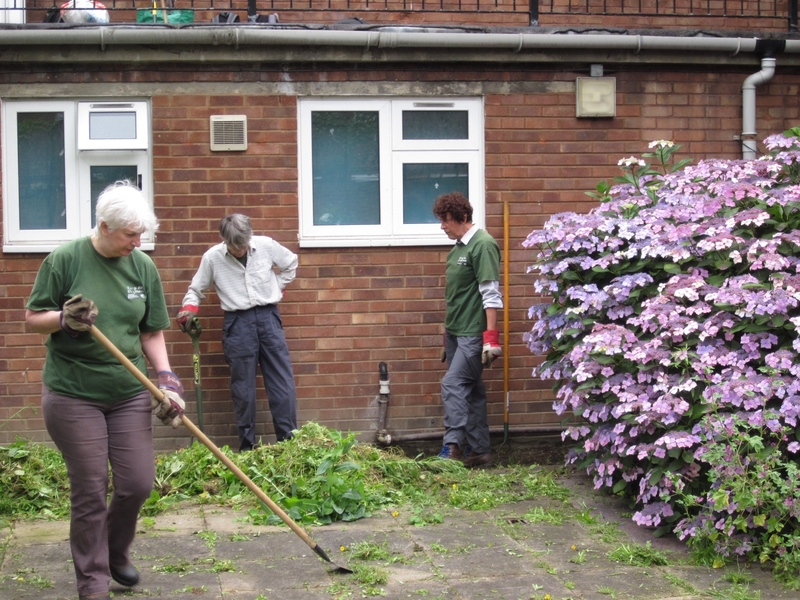 Luckily, the volunteers were on hand to make sure everything weeded had a place to go! 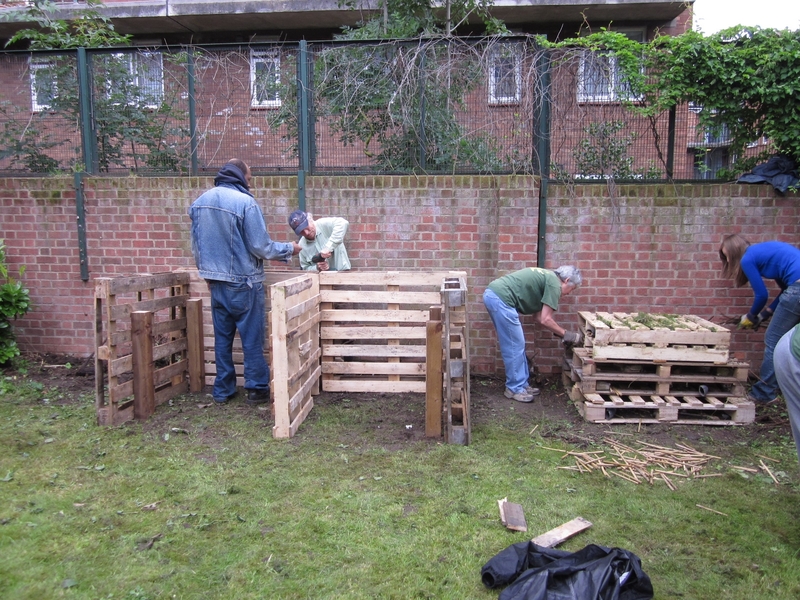 A few of the volunteers got to work on a compost bin and bug hotel. We have made a few bug hotels in the past, but the compost bin was a new adventure! For both we were able to use recycled materials. The main frames of each were made using pallets. Once the bug hotel was built is was time to fill if with different material to attract different insects. You can use all sorts of reclaimed materials and objects. We put in bricks, straw and bamboo canes to name just a few. All sorts of invertebrates might be attracted to your bug hotel, including nesting mason bees and leaf cutter bees, woodlice hiding from the sun – and woodlice spiders hunting woodlice. There is still work to do here, so I am sure we’ll be back. 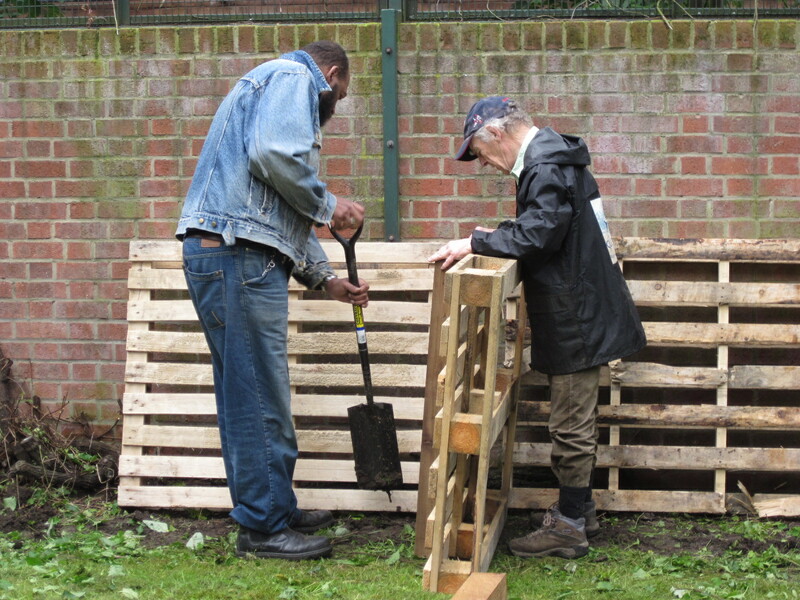 There are raised beds to be made, areas to be weeded, and we can always add more material to our bug hotel!